IV centenary of the first edition of "Don Quixote de la Mancha"
The centre of the coin features an image of Don Quixote holding a lance, with windmills in the background. 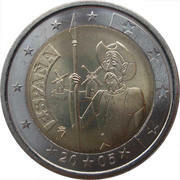 To the left, impressed into the surface of the coin, is the word 'ESPAÑA', under which the mintmark 'M' appears. 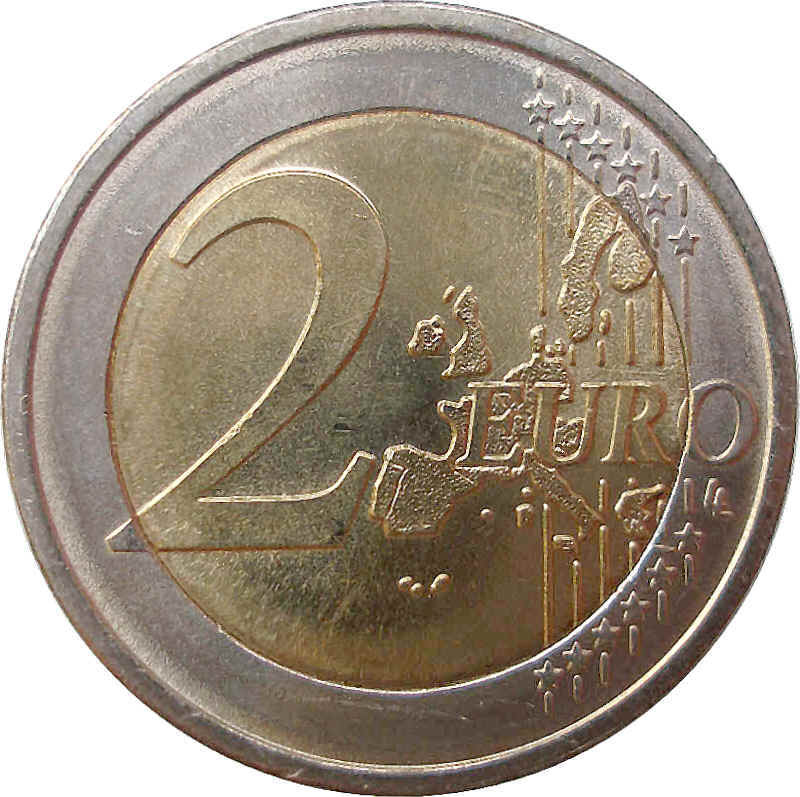 The 12 stars of the European Union are shown in the outer ring of the coin, with four of them impressed into the surface. The year of issue is indicated at the bottom.